If anybody knows how to download for free & install quick office from the internet, please inform here. i bought this phone a cople of weeks and its good with a 512 memory card but everytime i took picture it tells me memory is full close some apllication. can you help me with this? i recently installed a smartmovie on my 3230 but the problem is i dont know how to play a clip using the smartmovie..please help me. Its Software is not ok. Very slow software. Have a lot of features But.. Desing is poor. and slow camera with a poor sound quality. planned to buy this masterpiece ,this phone has got i always wanted. i'm using this handset (3230). it's service good, fine works but when it starts after off it will start very slowly and it sound card very low. but its keys functions and other functions is very good and it has good memory. Using last 1.5 yrs.Excellent Phone. Only problem,it's restarts sometimes. Design is not exceptional, functionality is very good except my phone keeps restarting every few minutes and battery does not last at all! Anyone knows whats happening with phone constantly restarting on its own? For upgrading the fone os version, bring the fone over to a mobile repair shop n tell them u want the fone to be upgrade or flash to the latest software version. 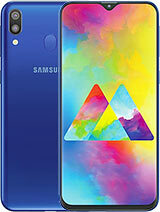 This is a great phone and looks are 8 out of 10.I like the sound quality But the worst part of it is that it has a software problem. where i can buy the latest version of the software? what is the latest firmware for this phone and how do i flash the firmware?? anybody kind enuff to help me please. Sound Quality. : Poor.The sound is very very poor.n the sound is mono. Imaging : Good.But slow at taking picture..
Loudspeaker : Stereo. even u use 1 way speaker,its still cool. No Full screen. i mean when we want watch video,we cant view it wit full screen mode. My fren keep teasing me about this phone..
your problem is simple and solveable. I have written the soluton down here for another 1. And one more nokia has decide to withdraw their 32 series already.The 3230 3220 and even the new 3250 are the most complainted and defective phones of nokia. I advice you to avoid 3230, unless you are addicted and go for some other.